This are my personal reviews of the STOL mods I have made to my airplane which I have been flying for more than 1000 hrs. Feel free to call me or write me an e mail if you want to have more information or want to buy any of these mods to your plane. I can say it was the biggest improvement to the airplane. I had the Horton STOL with flap gap seals and VGs , it had good control at slow speeds most likely thanks to the VGs, at 60 mph approaches it felt like sinking from under you. Replaced the Horton with a Sportman, removed the stall fences and flap gap seals, added the VGs on top. Another airplane, I could do 50 mph approaches no problem the very first day I tested it, very stable, very good control at slow speeds, no more running out of elevator when coming real slow for landings. After a few years I can do 45mph approach speeds when the airplane is light and there is no wind. 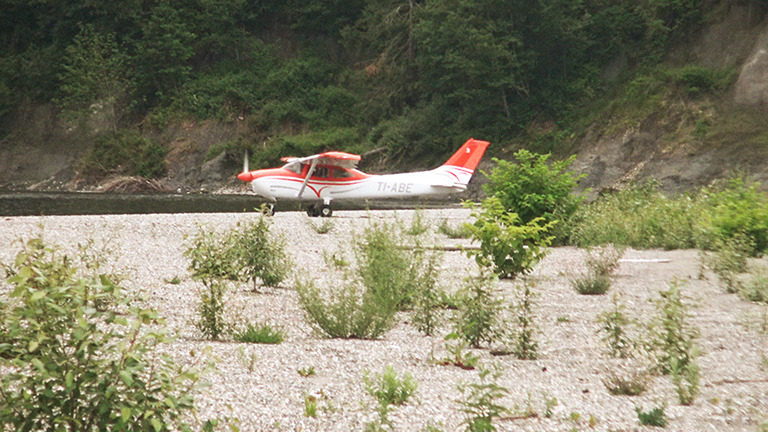 I could not land at many of the places I land if it was not for the Sportsman STOL. Added safety with a power off stall speed of 40mph, much shorter take offs and landings, better glide, and a lot more fun to fly. Its an awesome improvement to the airplane. Loose 16 pounds on the nose in case of the Hartzell Prop I replaced. In a Cessna 182 it’s loosing this amount of weight does make a difference in the elevator forces Because of its light weight there is a quicker throttle response, great for windy landings, backcountry operations, short fields. Its larger and wider and it works as an airbrake when at full pitch and no power, which helps for steep approaches Better climb, quieter. Durability, contrary of what many pilots think, its is very durable, I have had mine for more than 1,000hrs operating in the backcountry and its still in pretty good shape. In case of the Cessna 182, when coming very slow to land usually you ran out of elevator and sunk into the runway, VGs do help having more elevator authority. Also roll response is improved at slow speeds, giving you more instant response and no mushy controls. I heard many pilots say that their VGs didn’t do anything for their airplane, I say you didn’t fly it slow enough to feel the difference it makes, go slow it down and you will be surprised. Also reduces the stall speed, making it safer , and allowing slower approach speeds. You dont need it, but once you have it you never want to fly without it. After you have one, looking at the airspeed for landing will feel old fashion. 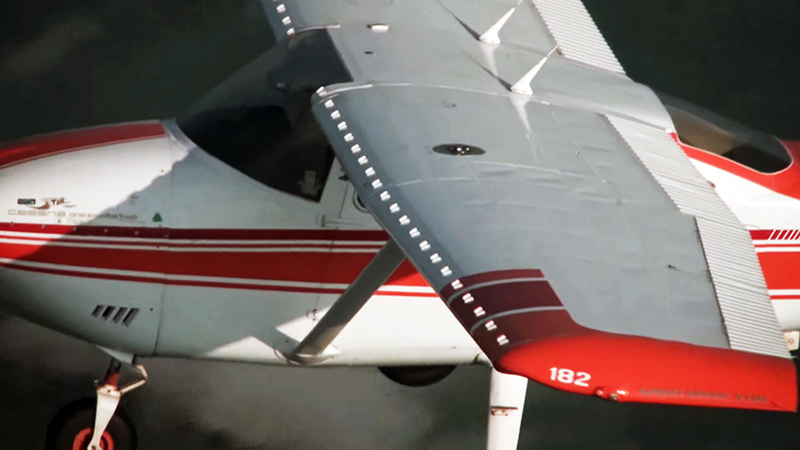 You can get all the performance out of your airplane in a safe way, no calculations or guessing. No sinking, no floating, no guessing Vx Vy Vg. Not only for landing, also for manuvering, all around its an added safety. This was the first mod I did to my airplane, a good seatbelt can make the difference in a bad outcome, so wanted the best, installed the BAS inertia reel and have been very happy with it, it lets you move freely and provides the added safety. This is the first thing I miss when I fly in another airplane that doesnt have this kind of seatbelt, the comfort and the added safety. For me this is a must and the first mod to do. For the backcountry the added braking power and reliability of the Cleveland brake and wheel kit its also a must. CiES fuel senders with Aerospace Logic gauges. This is a huge upgrade for my flying, finally I have gauges I can trust, now it show exactly how much fuel I have in my fuel tanks, this senders are new technology and they are reliable and accurate. I was always surprised at how inaccurate were the fuel gauges in most GA airplanes, I had the visual measurment with the stick and the fuel totalizer, it worked, but still the gauges always read whatever they wanted to read. The CiES senders uses magnetic field technology vs the old resistive technology of old senders, also they are a direct replacement of the old Cessna senders in my 182, install was easy and quick. It gives me a peace of mind that I never had before with the Cessna gauges. 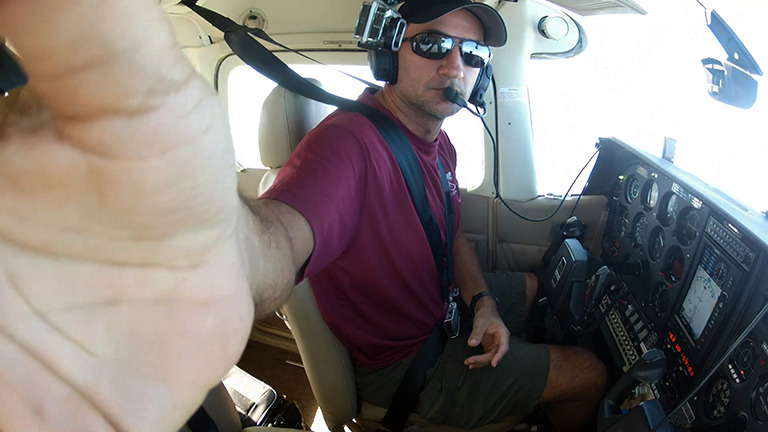 Many times I fly with low fuel to keep the weight down to land in gravel bars or short strips, before I was relying in the fuel totalizer, now the gauges tell me exactly how much fuel each tank has, also good to adjust the vent tube accordingly so both tanks use the fuel more balanced, instead of one a lot more than the other. I just wish I have done this before. The Aerospacelogic guages are the perfect complement, very accurate and easy to calibrate, you can also program a yellow and a red color to the amount of fuel so those are your personal reserves, also can put a low fuel warning light and program it with the amount of fuel you think is more appropiate to your kind of flying. This highly recommend this upgrade to all pilots who fly legacy airplanes. Thanks for the info. Honestly, you’re the only youtube subscription I have. The vids are great. I have a TU206G with a Horton STOL and flap gap seals and am considering VGs. Did you ever fly your plane with Horton STOL before it had VGs? Is so, did you notice an improvement once you got the VGs? Understanding that every plane is different, how much did it cost to replace the Horton with the Sportsman? Thanks again! Yama I did fly my 182 with the Horton before and after VGs, you can tell the difference if you slow it down, at landing you get more elevator authority at slower speeds, I used to ran out of elevator at the flare, and VGs helped, also they help with aileron authority at low speeds, much better and not mushy. As for the Sportsman STOL it made a dramatic difference after I removed the Horton , also removed the flap gap seals, and re installed the VGs on the Sportsman cuff. Cost with install included , between $4,000 to $5,000 , it will put a big smile on your face on the very first flight though. Do the STOL kits and the VG’s affect the top cruising speed of the 182? STOL kit and VGs barely lost 2 kts if anything, Bigger tires is where you loose more speed, about 6 knots when I removed the wheel pants and put larger tires. The mods where installed by my mechanic in Costa Rica. Your plane looks great, and videos are inspiring. How big were the stock wheel/tires, and what’s the current size? Also, what inspired the paint job? The orange looks sharp! Original color was orange and white, old 1970s scheme. Hello! I am 14 and have always wanted to be a pilot. My dad has a C210 and we fly around together quite a bit. I live on a small airstrip about 20 miles north west of Mt. Rainier (WN15). Feel free to come and land anytime. (Land to the south and takeoff to the north). I am addicted to back country/off airport flying. Been to a lot of places like Tieton State, Ranger Creek, Johnson Creek, Sulphur creek, and just cant get enough of back country flying. Huge fan of your YouTube page, Keep up the awesome videos! Have you changed the nose fork and what tyres are you using? Yes Robert I installed a heavy duty nose fork , and a 700 x 6 tire on the nose. Did you go to a larger fork and front wheel? Thanks for doing the homework for us. 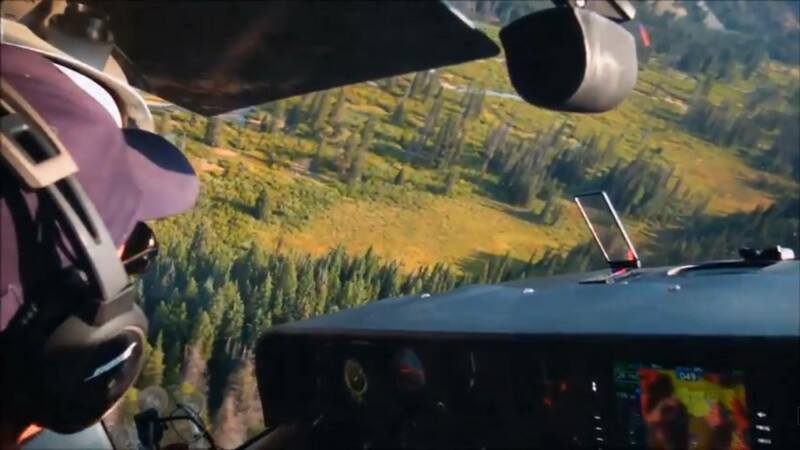 And if you are ever looking for passenger, I’m a student pilot out of Boise, looking forward to exploit all of Idaho’s back country. Yes Nate, larger fork , I have the heavy duty fork for the 182, with a 7.00×6 tire. What kind of engine are you sporting? Stock O 470 R Continental in all my videos. Just upgraded to a Pponk conversion which last week,has 45 more HP, currently I am in the break in process. wondering what your early thoughts are of the p-ponk? I am buying a 182 this summer and am thinking about an engine upgrade. Love the engine, lots of power and very smooth, I gained 25mph in cruise, 500fpm in climb, and take offs are a lot shorter now. Your website is very informative and the videos are spectacular. Have you ever seen or talked to the pilot of a Peterson modded 182? 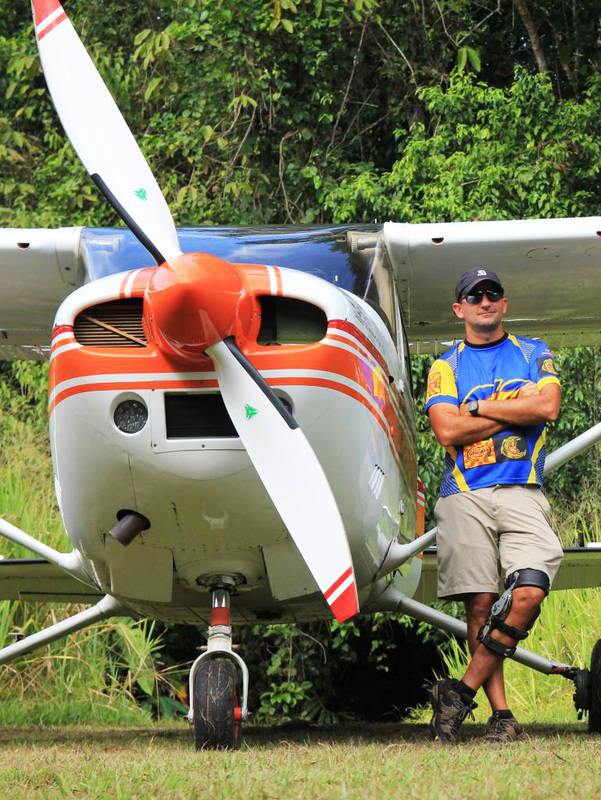 How do you think your Sportsman STOL and Micro VGs compare with the Peterson front canard? Thank you very much! William I think the Peterson 182 should perform better than my airplane, they can fly at a flatter angle than mine, I have talked to a pilot who owns one but he never does backcountry flying with it so we could not compare, Having said that , I have seen Todd Peterson videos of the backcountry and we approach at the same speeds to the same strips, mine is even slower some times, I try to keep it very light weight. I’m having a HUD mounted in my 206 and I’m wondering about placement. If you were to do it again would you put your HUD in the same place or would you move it left or right of where it currently is? No I would not change the place where I put my HUD, it is perfect, doesnt block anything and easy to see. You are going to like your HUD, eyes out of the cockpit for landing. I love this! THose videos are awesome, I have a 182Q and have been steadily lightening and have a few of the same mods you have, most notable the VG’s and the BAS aero belts. I was thinking about the AOA indicator and the MT prop and now I am sold. Does MT sell props directly or do you have to get them from a dealer? I have enjoyed your videos and I am considering the sportsman STOL for my 182. It also appears that you have VGs in addition to this sportsman. If so, does it make the sportsman more effective and is the placement point of the VGs the same on the wing or does it have to be altered to accommodate the change to the wing created by the sportsman STOL? Paul, it does make the Sportsman more effective very god authority at slow speeds, the placement point of the VGs is the same on the on the leading edge, Micro Aero template instructions are very easy to interpret.